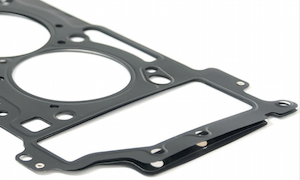 We know what a gasket is, but what does it actually do, and how? What is a gasket? It sounds like an obvious question, but in point of fact, it is not the easiest to answer. 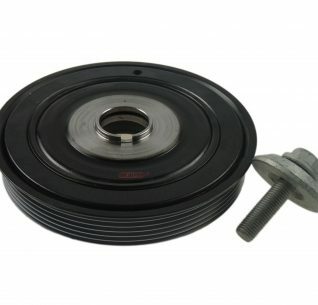 Some would say it is any flexible material used to mate two surfaces, while others would have a more technical answer that distinguishes a gasket from a seal. Others, particularly those that own anything powered by the Rover K-series, might have another (possibly unprintable) definition of a gasket. But for the rest of the aftermarket, when someone talks of gaskets they are generally referring to the cylinder head gasket, which as everyone knows is to act as an air, oil and watertight seal between the head and the block. If the gasket blows when the engine overheats then the driver will hopefully notice the sudden increase in temperature and take action before the head warps or the block cracks. Head gaskets generally used to be made from a form of fibre, but these days are more often than not made from steel. The reason for this is that the crush rate is far more predictable, meaning the head can be tightened with a torque wrench without needing to carefully half-tighten each of the bolts in turn. 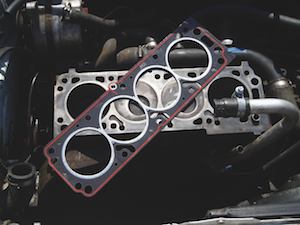 Another reason for using steel is that with crush gaskets the height of the cylinder head can vary, literally depending on how much the gasket is crushed under the cylinder head. This might seem like an inconsequential amount, but it makes a difference to modern fuel injectors that have a tolerance of only a few microns. However, steel gaskets have not been without problems. OEMs have battled with creating a gasket that will apply an adequate amount of pressure to stop gasses from escaping. One way of doing this is to add an additional ‘fire ring’ into the steel, although some aftermarket gaskets don’t have this welded ring, instead relying on a ring folded into the metal. Last time we addressed this issue, we spoke to Dominic Moxon, a Senior Product Engineer at FAI Automotive who explained: “The problem is this folded design will not last as it will not be able to cope with the pressures generated in the combustion chamber”. Clearly, having to do a job twice, particularly an involved and complex task like a head gasket, so it pays to track down a gasket of a similar design to whatever was fitted to the vehicle originally. Paul Grosvenor from Mahle advises that one of the most common misconceptions is that a good plan with a diesel engine is to replace the head gasket with a thicker one. “It is not best practice to do that” he says. 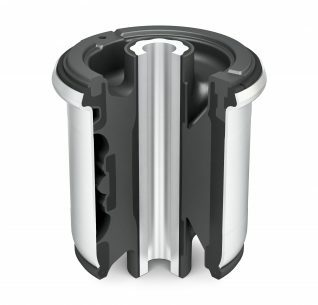 “The difference in the gasket thickness exists primarily because of the tolerance on other parts. It can ultimately affect the emissions levels by using a thick gasket when it should use the thinnest one”. “Best practice is to fit like for like, because gasket thickness is calculated on the protrusion of the piston from the engine block so if they are only changing the head gasket they should fit the same as was fitted on it originally”. 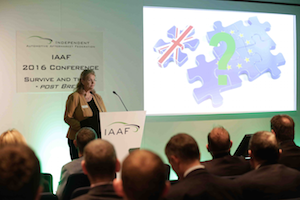 Dominic Moxon of FAI Automotive says that if a head gasket has been fitted for some time suddenly goes then technicians need to look for an underlying cause. “There is always a reason for it failing whether that is down to a manufacturing process, installation issues or a running fault”. 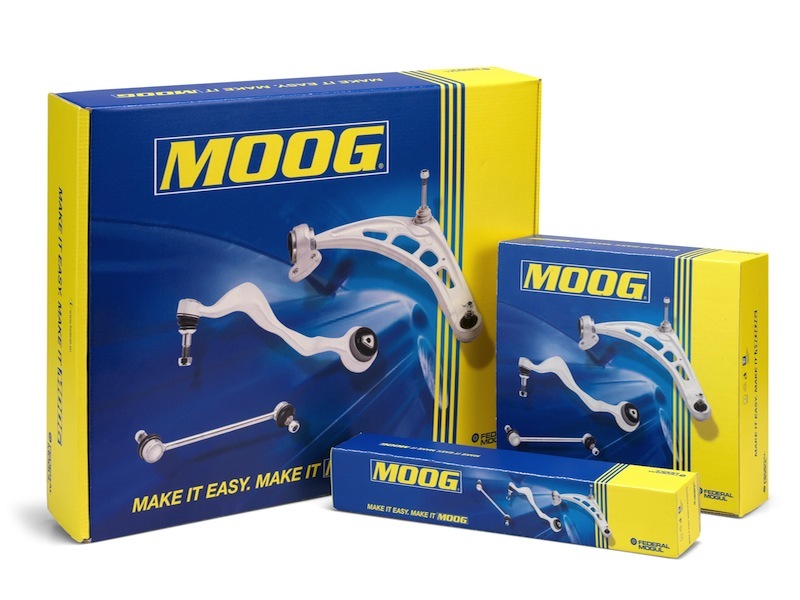 Pour-in instant head gasket is hardly a professional repair, but claims that it will clog or cause damage to the cooling system appear to be wide of the mark, at least if you are using the Steel Seal product. “It contains no fibrous material to seal your blown head gasket. It relies on a thermo chemical bonding process that is a chemical reaction, to seal the leak in your blown head gasket” reads a statement from the company. Say ‘Mahle’ to most garages and they’d think of the traditional blue and white livery, as well as its extensive filtration range. In fact, the firm produces up to 1.1 billion a year across 170 production sites worldwide. However, filters are just one of many lines produced by the firm. In fact, the total number of products is set to increase as it prepares for electric and hybrid technology coming into the market. The parts manufacturer has made gains amidst market consolidations over the past few years. It acquired the majority of shares in Slovenia-based Letrika in 2014 and Mahle-Behr took over Delphi Thermal Systems in 2015. In addition, Mahle has added mechatronics and hybrid systems to its portfolio for the same reasons as Jonathan Walker, Managing Director of Mahle Aftermarket, explains. “There’s so much consolidation happening at the moment and we’re aware of it happening elsewhere”, he said. “What we’re doing is adding additional businesses technical capabilities to what we can do as the systems interrelate”. 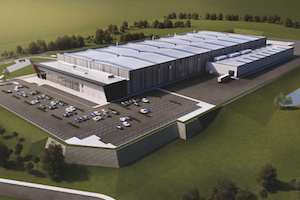 This was clearly evident at the firm’s Telford-based facility, which used to manufacture Dunlop tennis rackets, but is now home to an operation employing 206 staff of whom 90 work on the shop floor producing up to 30,000 components a day. From filters and manifold systems to valves and thermostats for passenger cars and commercial vehicles, were just a few of many parts coming off the production lines. With a vast space to operate, the management team has implemented a new lean strategy over the past four years, both to drive productivity, and also make it a safe and comfortable place to work. “Part of the shop f loor management is making sure people know what is going on hence why we have direct production data coming live onto the shop floor every hour”, said Walker. “The management team can then see how each area is performing so they can tackle any issues that may arise”, adding that the new structure has significantly reduced management meeting time to as little as fifteen minutes. 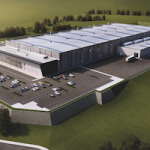 The factory is split into four sections with fast moving components placed at the front of the premises. We were keen to find out more about this setup. “We have high and low volume manufacturing areas because the positioning of the factory is all about cost”, Walker replied. “We’re always trying to add value for the customer rather than wasting money when it goes on additional resources”. The plant also features multiple assembly stations where a filter is produced every 6.8 seconds. Walker elaborates. “The operators will solely focus on assembling the components that are delivered by the logistics team by their train systems. Once the rack becomes empty, he or she will drop it to the bottom one below, at which point the logistics team will walk over, grab the barcode at the back, which tells the people in the warehouse that the operator needs another box of components so they can then bring it back on the train system”. Once parts have been built, tested and receive the green light, the final step is packaging them for distribution. 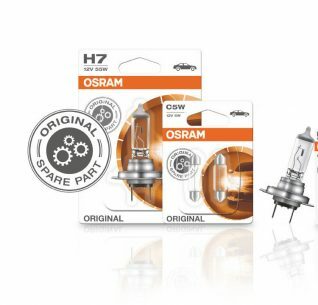 Whether it’s an aftermarket or OE component, Walker points out that both products undergo the same rigorous manufacturing processes with only the packaging being the differentiator between the two. Recent launches include Caremetix cabin filters, with air conditioning compressors set to launch in the middle of this year. Walker concluded. “Not enough people know we’ve been in the UK since 1996. 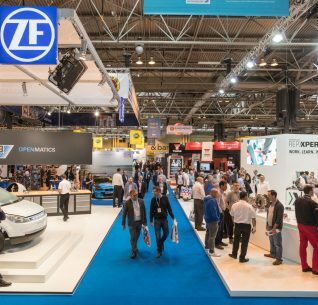 In the UK aftermarket, it’s filtration that we’re known for but it’s really important we change that perception to encompass all of our other products that we do by bringing our ranges that we make as a fit first to the independent automotive aftermarket”. 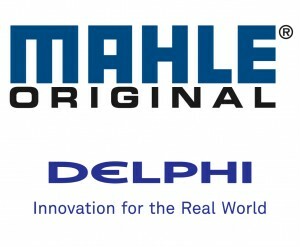 We look forward to catching up with the Mahle team again in the not so distant future. 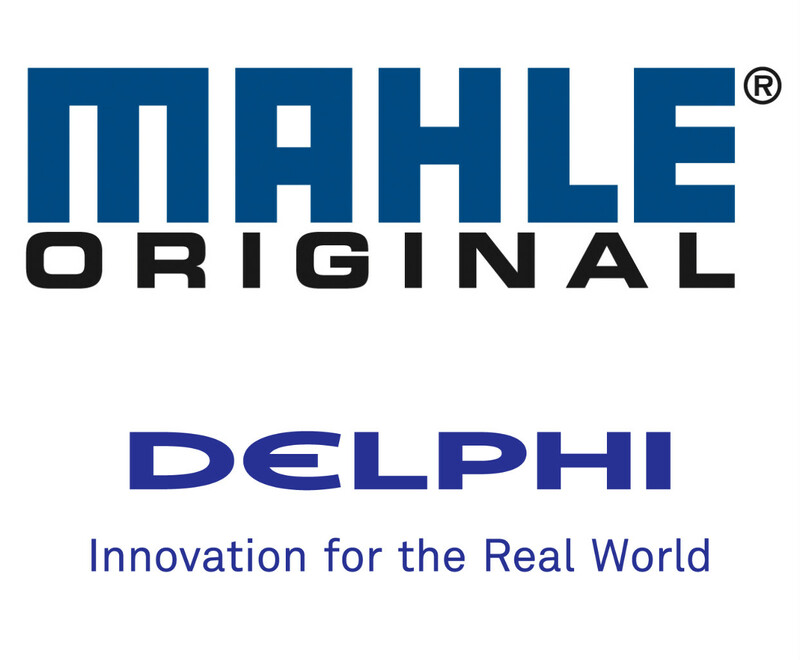 Delphi Automotive has announced that it has entered into a definitive agreement to sell its wholly-owned thermal business to Mahle GmbH for cash consideration of approximately US $727 million, subject to closing adjustments. The transaction is expected to close in the third quarter of 2015, subject to regulatory approvals. Proceeds from the transaction will be used to fund growth, including share repurchases.